1. Heat oven to 375. In medium bowl, beat egg lightly and place half in another small bowl. Beat in milk until its well blended and sit aside. Melt butter and chocolate chip morsels. To the remaining egg bowl, stir in the rest of filling ingredients until well blended adding in the melted butter chocolate chip mixture. 2. In a saucepan mix the glaze ingredients, and heat until boiling. Remove from heat and let cool. 3. Unroll dough and pinch the seams to seal. 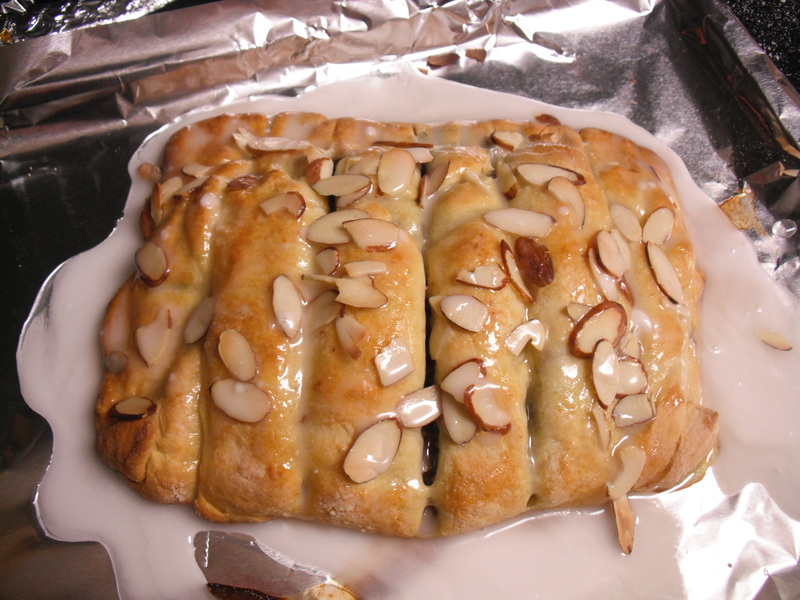 Press into a rectangle and spoon the filling along a 1/3 of the dough. With hand, fold over dough and flatten into 1 inch wide strips along the edges. Cut dough into 6 pastries. 4. Lightly brush egg-milk mixture over pastry. 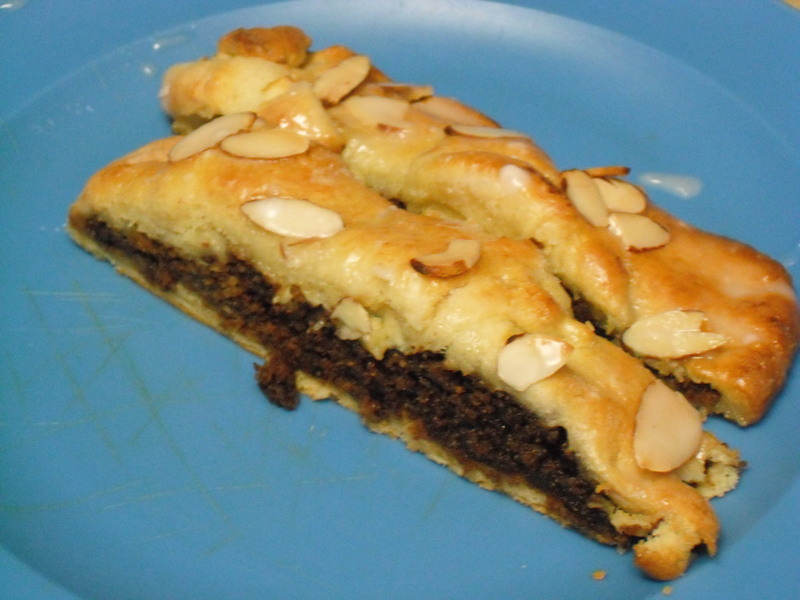 Place almonds on top of the pastries. 5. Bake 15-18 minutes. Remove and cool for 5 minutes. Drizzle the glaze over each pastry. In another bowl, mix icing ingredients until smooth. Drizzle icing overtop.